It was an awkward moment. We hadn't seen each other for such a long time. But thanks to Shimelle I have, at long last, been reaquainted with my crafty mojo. 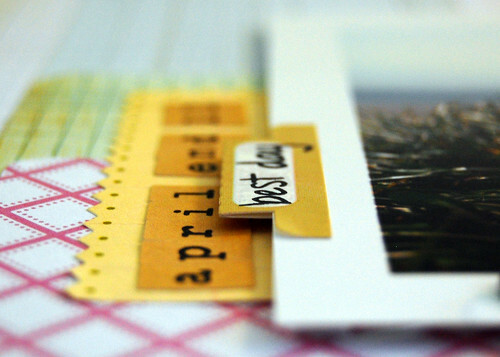 Shimelle's new scrapbooking class, Pretty Paper Party, arrived at just the right time. I needed a little bit of focus - and the class is certainly focused. On encouraging us to use up our pretty paper stash. Shimelle has also been talking a little about how she puts together her cardstock and patterned papers for a crafting session. I smiled a lot, when she described the principles I use to put together my Counterfeit Kits. Having my October Kit ready and at my side while I've been working through the prompts has made it so easy to pull out co-ordinating colours and patterns without constant rummaging. I have no idea how I used to scrap before I started counterfeiting. I only know that it used to feel so much harder. So, if you're visiting from Pretty Paper Party and the Counterfeit Kit Challenge is a new concept, I can highly recommend it. Enjoy! It's all working so well together. I have to admit that when I saw Shimelle put her papers together I thought the same! Your page looks gorgeous! Great papers and great page! I like that your sewing makes your page look so finished and detailed even though you have a very clean uncluttered layout. Clair, you have a knack for combining papers so beautifully. Even though this class is way out of my league and my comfort zone, I am throughly enjoying seeing my seasoned paper friends producing some gorgeous pages! I always struggle combining prints, but you did such an amazing job here! It looks fabulous! Ditto everything you just said!! I am in the Pretty Paper Party, too, and ITA about the Counterfeit Kit challenge! 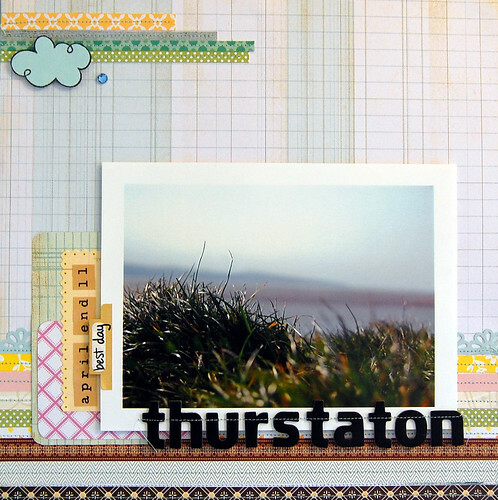 I get so much more scrapping done now, when I have that kit ready to pull and create with! I love your page, it's gorgeous as always!! Sigh . . . I do so love the pretty simplicity (deceptive simplicity?) of your pages. Just gorgeous!